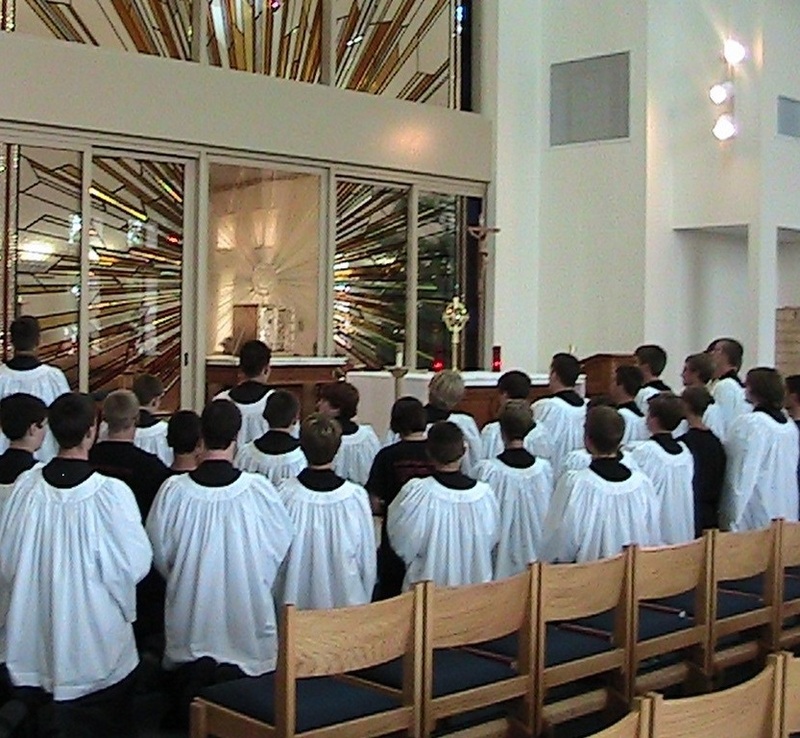 The Temple Knights of the Holy Eucharist is a group of male high school students who are devoted to Jesus in the Eucharist and who witness to this devotion through their service in the sacred sacrifice of the Mass. 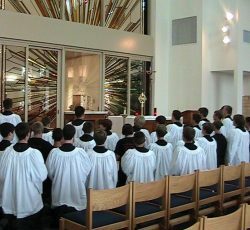 The Temple Knights is a high school fraternity to encourage teen boys growing toward manhood to stay active in their faith and to discern their future vocations as Christians as either married, consecrated, or ordained men. The men are called to respond in their Catholic faith through regular prayer, sacraments, moral living through an honor code, and glorifying God through sacrificial service in the Church. The Temple Knights service includes both serving at Mass on feasts and other important days in the life of the parish as well as works of charity (e.g., serving at the parish Italian Festival, Shepherd’s Gate Food Pantry, Holy Name Society Fish Fries, and other projects). This ministry is open to all high school boys, grades 9-12. There is an annual invitation to all SMG 8th grade boys in June following graduations from middle school to come and learn and begin to discern about joining the Temple Knights. However, a high school teen is welcome to join the Temple Knights at any time regardless of their knowledge or skill of serving at Mass. Monthly meetings are usually on the third Thursday of the month.